When you think clown you're either going to be smiling or frowning and possibly running in the opposite direction of whomever or whatever made you think of it. Once you're over the initial shock though you can agree that the hair of the goofy performer you pictured probably had a big ol' afro sitting on his head that was a variety of different colors. 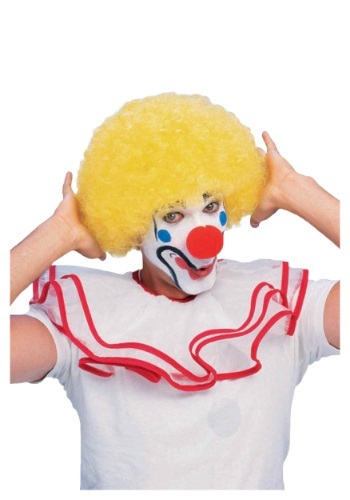 Now to the average citizen the color of this hair is usually red for a classic clown but as educated scholars of clown garb and behavior we can say that this is not true. For everyone in the academic circle knows that you simply can't have red hair or it will be too much of the same color with your red nose. 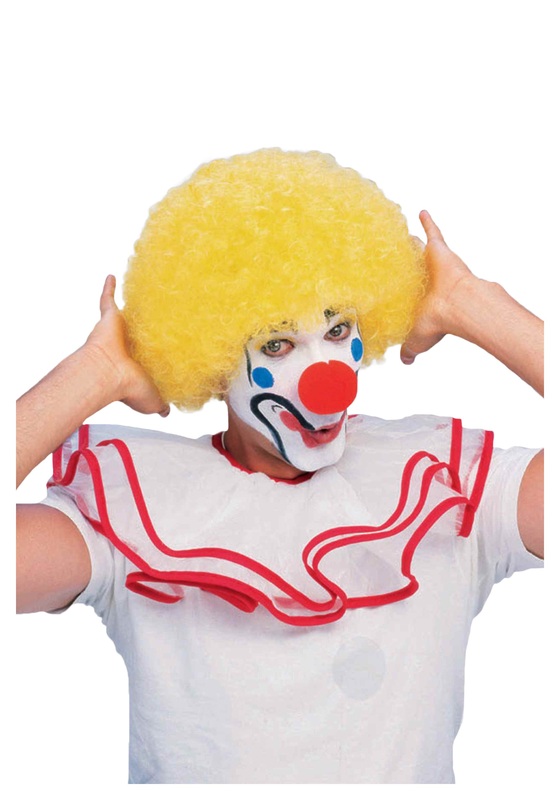 That's why in order to really complete a professional outfit for your next clown ensemble you should definitely try this yellow wig. It's still silly, classic, and poofy but will keep a much better rainbow of colors. Now you just need to learn how to make the best balloon animals.